Ok guys/gals. 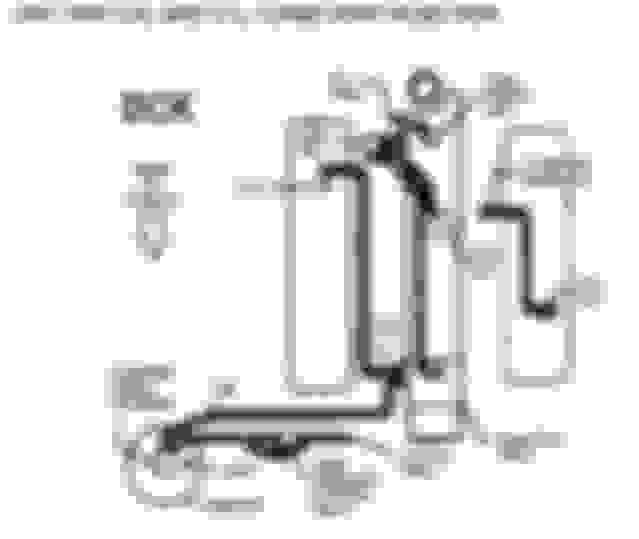 I've been trying to find information on this site about where the EVAP (vent line) on my truck, an S10, should be hooked up to when using a TPI setup. I know it's not a Camaro but I like the looks of the TPI setup and want to incorporate it onto my stock engine. From what I've read there is a port on the side of the throttle body that it could be hooked to but I'm thinking that the throttle body I'm using which is a LT1 unit doesn't have that feature. Surely someone has put a TPI setup on a engine that didn't come with it and had to deal with the vent line off the gas tank on a GM vehicle. I'd prefer not to run a vented system like the days of old if I can avoid it. The EGR is going to be deleted as well. Any help is appreciated. 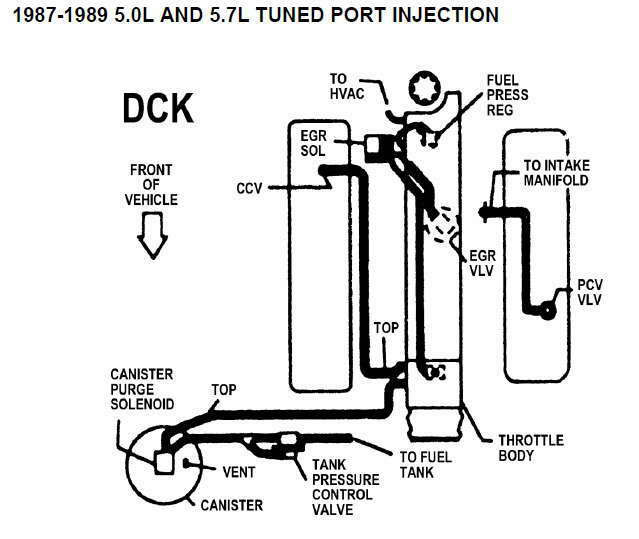 The egr used a ported vacuum signal that was under the tpi Throttlebody.The lt1 tb would not have this provision. I think the evap hose from the side of the Throttlebody is manifold vacuum. If that’s what you need tap a signal from the right rear of the plenum. Where on the right rear of the plenum would I do this? Is there already an existing port to hook to? Last edited by eshaw; 12-23-2018 at 10:44 AM. Next to the fpr line. In f body’s this is a hvac vacuum port. Gas in Evap line, TPI running rich. evap canistor, and other vac line Qs.